Budding healthcare innovators from across the West of England have been learning how to take their cutting-edge technology and business ideas to the next level. 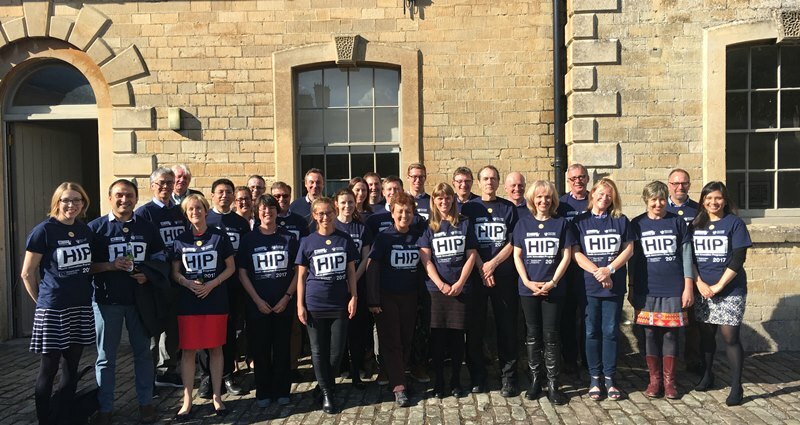 Our four-day Healthcare Innovation Programme for health professionals, health and life science academics and small businesses, was delivered in partnership with university business incubator SETsquared at the Corsham Institute in Wiltshire last month. The intensive course provided 14 healthcare entrepreneurs with the skills to take their innovative proposals to business realisation. Delegates took part in sessions covering customer analysis, funding strategies, building a business case, market analysis, and how to work with the NHS. The course opened up new opportunities for innovators who are passionate about taking their business proposition forward, and to commit to delivering it for their organisation – which could be a health and social care provider or commissioner, SME or social enterprise. The course culminated with each entrepreneur pitching their innovation ‘Dragon’s Den’ style to a panel of judges so that they could receive real time feedback on their proposals. The panel included Deborah Evans, Managing Director of the West of England AHSN, Gill May from Swindon CCG, Guy Rooney from Great Western Hospitals NHS Foundation Trust and Mike Jackson from Webstart. Simon Bond, Innovation Director at SETsquared, added: “We’re delighted to be able to deliver this world class training programme again with the West of England AHSN. The Healthcare Innovation Programme is collaboration between four AHSNs (West of England, Kent Surrey & Sussex, Wessex and South West) and SETsquared. To date the programme has supported 122 healthcare entrepreneurs across Southern England to develop businesses that improve patient care, generate savings for the NHS, create jobs and economic growth. Find out more about our Healthcare Innovation Programme. Carey McClellan from getUbetter is a graduate from the Healthcare Innovation Programme and is taking forward his app for self-management of pain. Read more. Jenny Dance has been successful in progressing her speech therapy app thanks to the Healthcare Innovation Programme. Read more. The project is receiving funding from the England European Regional Development Fund as part of the European Structural and Investment Funds Growth Programme 2014-2020. The Department for Communities and Local Government is the Managing Authority for European Regional Development Fund. Established by the European Union, European Regional Development Fund funds help local areas stimulate their economic development by investing in projects which will support innovation, businesses, create jobs and local community regenerations.